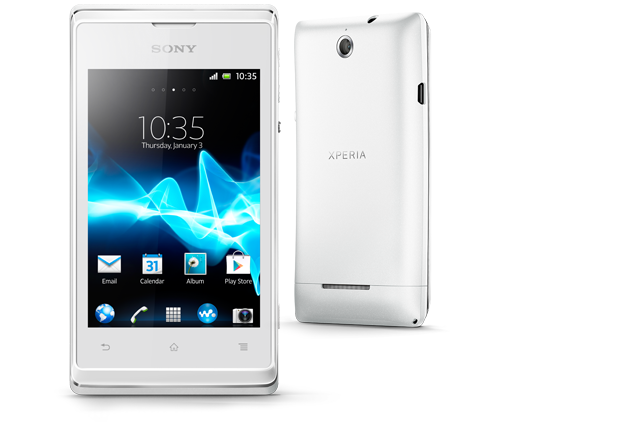 For the past few weeks there has been rumors coming out regarding the features of new Sony Xperis E5. When Sony launched the device through their website, all these rumors turned out to be true. This new smartphone from Sony features a 5 inch display with certain other premium features. In this article I would like to highlight those Xperia E5 specs. Xperia E5 from Sony measures to be 5.65*2.73*0.31 inches with a weight of just 147 grams. This smartphone supports single Nano 3G SIM. But you can also buy for optional Dual SIM device. You can find the Volume Control and Lock or Unlock Key to the right of the smartphone. The display of Xperia E5 measures to be 5.0 inches edge to edge. This 720*1280 pixelled display is equipped with 294 PPI. This screen supports 16M colors and is enabled with Multi-Touch feature. The processor of Xperia E5 comes from MediaTek. This Quad Core processor consists of ARM Cortex-A53 chips with 64-bit capacity. This processor has got a processing speed of 1.3GHz. The device has got a RAM of 1.5GB along with an internal storage upto 16GB of which 6GB is reserved for system softwares and rest 10GB can be used by the users. This storage can be enhanced upto 200GB with the help of external microSD memory card. The device has also got graphics support from Ali-T720 MP2 GPU, which ensure that Xperia E5 can handle high end games without any lag issues. Xperia E5 runs on Android OS. Xperia E5 is having a primary camera with a lens of 13MP. This snapper is also enhanced with features like dual-tone LED flash, Autofocus, Touch Focus, Smile Detection, Geo-Tagging, Face Detection and Digital Zoom. It also features White Balance, Exposure Composition and shooting modes include HDR as well as Scenes. The front cam is loaded with a lens of 5MP, which is also featured by dual-tone LED flash. This helps in snapping low light selfies with extra bright light. Xperia E5 supports 3G as well as 4G SIMs. Further the smartphone also features Bluetooth Connectivity with v4.1 and WiFi connectivity with 802.11 a/b/g/n. Xperia E5 is also equipped with USB port of v2.0. Other connecting features include NFC, Tethering, Computer Sync and OTA sync. Xperia E5 also supports certain sensors like Accelerometer, Compass and Hall. Xperia E5 runs on 2700mAh battery. This battery provides a stand-by of 511 hours and grants a talk-time of 9.5 hours on 3G. The company also promises that this battery is capable of providing Music playback upto 65 hours and Video playback upto 11.5 hours. This battery can be charged with the help of microUSB port. New Xperia E5 will be available in various color variants like White as well as in Black. Xperia E5 is tagged with a price of €199. It is said that the device will be available in market from May 31st onwards.